Here's the show for Aug 31- the quest for first is still on for the Phillies, they wrap up in Chicago before moving onto Washington for Labor Day. 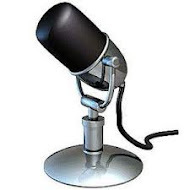 You can download my Phillies podcast via iTunes as well, so just go to the iTunes music store and search under podcasts for 'phillies' and find the Phillies Talk Podcast or just click here to go directly there! You must have iTunes already installed on your computer to follow the link, if you don't have it, it's free just go to www.apple.com/itunes to download it first. So far in Chicago, the Phillies have been snake bitten in Chicago. They've lost two very important games to Chicago with the bullpen appearing to have a big problem holding games all of a sudden. The offense is doing their job, and now the pitching seems to have let the Phillies down a bit, though they are not out. Yet. Umpire Chris Guccione had a terrible call at first base with Ryan Howard beating the throw on which he was called out. This call could have cost the Phillies this game as they were rallying late. Hey Chris, get a new pair of glasses! This was an out and out terrible call, I hope he doesn't do any playoff games because this was a really bad call. The Phillies fell to 2.0 games out of first now, and with the games dwindling down to the month of September now with the remaining schedule, they have to do all they can to get back to their winning ways. The Fightins have lost three in a row now, and this late in the season they can't afford to do that. On paper, they are almost statistically identical to the NY Mets, the Phils have just stumbled a bit lately. This type of play isn't the mark of a World Series winner, but if the Phils just make the playoffs that in itself becomes a new season and nothing previous matters. The Mets haven't seen the last of the loss column, that is for sure. The one terrible stat the Phillies have this year is their record for day games, they are 16-22. This isn't a good sign. Somehow, they have to find out why their record during the day isn't too good. This day record the Phillies have is equal to the record of the Washington Nationals, so you can see this isn't good. Chase Utley... Hit by pitch... 21 " "
Jimmy Rollins... Triples... 9 " "
Cole Hamels pitched what looked to be one of the best games he has pitched all year in Chicago last night. He mowed down batters at will and stymied the Cubs potent offense and should have had the win last night. The normally great bullpen of the Phillies have taken a few hard hits in the last two nights, as when the game was handed over to them, the bullpen let the team down for the second night in a row. Ryan Madson, didn't get a blown save in this one but he was the culprit as he gave up a homerun and left two men on base as Chad Durbin came into the game. Durbin walked the first batter, and promptly gave up a grand slam to the next batter and ruined what looked to be a game that the Phillies would win on game 1 of this series in Chicago. This was Durbin's 5th blown save of the year, and that number is creeping up higher as the days go on. Durbin has been terrible under pressure in the last two weeks, he had two blown saves against the Dodgers in LA when the Dodgers ended up sweeping the Phillies, and last night's blown save adds up to 3 games he blew for the Phillies in the last two weeks. He still has a 2.19 era, but the giving up of three crucial games concerns the Fightin Phils blog very much! Durbin is an 8 year veteran, perhaps he's been pitching above his talents early in the year, because he is showing his true colors now. There has been reports that the Phillies landed Matt Stairs, I am not too excited about this except for the leftie bat he would add to the Phillies pinch hit department. There may not be a need for him after this week, if the Phillies can't win these clutch games, they won't even be in the playoffs. The Phillies win on Tuesday night, 8/26, may be one of the best wins of the year for the team. Jamie Moyer looked like he was pitching batting practice to the Mets the whole time he was out on the mound. Very unlike Moyer, I might add, he had easily his worst outing of the year. The Phillies pounded out 19 strong hits, Jimmy Rollins went an amazing 5-7 for the night. He deserves a standing ovation from the fans tonight and for anyone who booed him after his talkshow where he put his foot in his mouth. Rollins is the spark plug and the Phillies are the engine. Rollins had 3 stolen bases in the game, he practically won the game by himself. The Phillies have shown a side to them that rarely has been seen lately, it's a side that is awesome and noteworthy. Tonight's game will be equally important to the Phillies, I hope they play just as well tonight to sweep the Mets in this mini-series. After years of having no interference from technology on umpire calls in baseball, all that is about to change later this week with special TV cameras focused on instant replays of home run calls. GM's in baseball voted last fall and supported instant replay, and that is what we'll be seeing soon in all major league games. Games on Thursday and Friday will start with the instant replay, and umpires will be able to view replays and converse with other officials in New York at the main offices of the MLB. Only homerun calls will be officiated by the instant replay now, although this is going to open the door to more of these types of calls in the future. I can see foul ball calls being reversed in a year or two from now, but this would also have to be approved by the teams, owners, and the umpires themselves. In the San Francisco Chronicle, one of my favorite quotes came from Cubs manager, Lou Pinella, "When an NFL coach drops the red handkerchief, I go to the refrigerator for 4-5 minutes." Maybe some more snack food companies will jump on board for MLB ads this way, I don't know. The Phillies had a controversial call tonight against the Mets when the ball hit the runner in the base path, oddly enough it was a 'foul ball' called by the umpire. Instant replay doesn't matter on that type of call. Managers of MLB clubs feel different towards the replay, some like it, and some do not. Bud Selig, Commish of the MLB, didn't want instant replay either but do to the vote by the GM's representing the baseball teams, had to act upon what they wanted. Replay ball! Umpires will be allowed to check video on home run calls starting Thursday after Major League Baseball, guardian of America's most traditional sport, reversed its decades-long opposition to instant replay. Forget baseball,... not yet.... but Eagles Cheerleaders are here! Every year one of my most popular posts on this website has to do with the Eagles cheerleaders. This year is no different, something about the name just draws readers to this site! Here is the lovely Janelle Stangl, I have a feeling we'll be seeing a lot of her around the cheerleading squad this year, and probably featured in the Eagles Cheerleader Calendar which will be out soon! Oh, did I mention the Phillies crushed the Dodgers in game 1 of the series tonight at home, when this happens it just doesn't get any better than this, of course unless the Phillies get into the playoffs again this year! Just received my Phillies postseason package. If they make the postseason that is! The Division Series will start on October 1st which is a Wednesday and cover through the first week of October. The Division Series is a five game series and the winner moves up to the National League Championship series which is a seven game series. The winners of those series in the National and American leagues go onto the World Series which will see game 1 played on October 22nd which is also a Wednesday. Now all the Phillies have to do is get into the playoffs, and that at this time doesn't look like a shoe in. Phillies map out a win 2 nights in a row! It is great to hear the fans at Citizen's Bank Park cheer for a change. 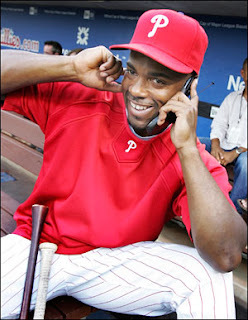 No, they didn't have a change of heart about Jimmy Rollins, they've been cheering a couple of wins by the Phils at home. I wouldn't get too happy though, the Dodgers are waiting to move into CBP for a 4 gamer over the weekend and I didn't like the results last week when the Phils were out in LA. No argument tonight as Charlie left Brett Myers in for the whole game this time, tempers didn't flare with those two, so it looks as if the Phils are one happy team once again. The offense came out to play tonight a little. It showed that offense can still be a part of the Phillies game. They are in 2nd place, but keeping pace with the Mets who have been on fire for the last two weeks. I would like a sweep of the Nats to keep the Phils in the hunt for the division, but I am cautiously optimistic of the series against the Dodgers. They have a lot of weapons to use now, and the Phils desperately need to keep winning! A trip out to the West Coast for the Phillies has brought nothing but quiet bats, losses, and Jimmy being Jimmy. Or was that Manny being Manny? Oh well, when your making $8 million this year and millions before, I guess you can say whatever you want to when your Jimmy Rollins. I think a lot of these ballplayers lose sight of who actually comes out to see them. It isn't millionaires for the most part, they're too busy making money to actually go out and see the team, no it's hard working people who have to put their season tickets on credit cards and pay on time just to keep their season seats. So, are you going to support that fan, Jimmy? No, I didn't think so. I've always liked Jimmy and I continue to be a fan of his but get off this subject and get out there and start getting the job done on the field! Well, moving on, we have a swept team looking for salvation in San Diego tonight. This team needs a win, as the Mets won against Pittsburgh and look like a team turned around. The Phillies need to win every time the Mets win just to stay up with them, the minute the Phils lose when the Mets win, they start digging that winter hole that they can crawl into in October and miss the playoffs. What happened? J Roll seems to be off on a temper tantrum, Utley curses at the fans that boo right on national tv, the whole team isn't hitting almost like Ryan Howard's average every game and Myers looks like he's going to kill someone out there on the mound when he's pitching. This is certainly going from bad to worse, they need a bit of lightening up a bit, bring a clown into the clubhouse or something, a comedian perhaps. The team needs to take a load off their mind, and just relax and play baseball. I predict the Phils knock the seams off the ball tonight and win big in game one in San Diego! The team did lose 6 straight already this year in June, I don't think they break that streak. They need a win though and start taking every game seriously but relax and have fun. In the games against the L.A. Dodgers, Jimmy Rollins went 3-17. He found time to talk about the fans though, somethings are better left unsaid and that subject is one of them. There is no easy explaination of why Philly fans take delight in booing a player when they aren't doing too well. The obvious thing for the fans to do in the players benefit would be to offer encouragement to a player that needs the extra support. 'Angry mob' mentality dictates that this isn't what happens though, and it is easier to boo than reason with why a player is doing badly. Schmidt tried to tackle this subject, as did Carlton, and many other great Phillies. It's bothered all of them. Pat Burrell has maintained a silence on the subject for the most part, though I know something is simmering and one day he'll tell us all how he feels about the subject. It's just not easy to put a handle on it, I've been to many a game though in Philly and I find that the ignorant ones that boo are just trying to make some noise because they actually want attention more than the fact that they are booing a player for any given reason. The problem is there seems to be a lot of those types in a crowd at times. When Utley said the infamous words that he uttered about fans that booed, he just said, "Boo? - F$$k You!" and no one said anything. The Utley comment flew over the radar by Philly fans and instead of J Roll trying to be philosophical about it, he should have just said the same thing and nothing would have been said. J Roll should have just said that very comment on the "Best Damn Sports Show Period" and he wouldn't be in the trouble he is in with some fans today. Utley's comments weren't just directed at NY Fans, it pertained to every fan really. I like Utley as a player, but I didn't like what he said when he said it on national tv at the Home Run Derby in July. What? the fans are upset at home with me? I don't interpret Jimmy Rollins comments about the fans as a negative. He's just calling it as he sees it. Look at Pat Burrell for instance, he's endured more booing than any home team player should have during his time here, and for what? He's the same player, this year he is doing very well, those boos have changed to cheers. I've talked at length about the damage we can do as fans by booing your own player, especially the ones that don't deserve it. They are 'your' team. It's like booing your mother when she tells you it's cold outside and to wear a jacket, she's your mother! When a player on a team does poorly most of the time he isn't trying to do poorly, they need support not a dismissive boo in their ear. I think this is the way Rollins meant his comment to be taken. He may have went a little to far saying the fans here are front runners though. Every crowd loves a winner though, that is the nature of the beast, what do you want them to do... want to lose? Jimmy has opened a can of worms here now, he may face the boo birds at Citizens Bank Park, I don't think there will be many but when he goes 3-4 with two doubles and a homerun, they'll cheer him- if he strikes out a couple times he may get the boo call, nothing personal it's just those fans way of telling a player, "hey I spent a days wages for my tickets, how about giving that little bit extra and do something good!" Don't boo Rollins when the Phillies come home, you'll fall right into the trap! Cole Hamels seems to have had a lack of run support in the last couple games. This hasn't always been the reason that he hasn't done well this season though. There are a couple of stats that Hamels possesses to support this. Number one in my mind is home runs given up, he is up there at 23 going into tonight's game in LA, that is up there for Cole. Myers has given up 25 and that has been widely publicized, but Cole's number is right there as well. Cole is also up there for hits allowed over 9 IP that number is 7.40. Cole does have 2 CG and 2 shutouts this season though. His record is a not so good, 9-8. This doesn't bode too well for Cole's demand of much more money this year the way he has pitched so far. What the Phillies decide to do after this year will be interesting. Cole can pitch, but he needs to start showing it now. He desperately needs a win tonight in tinseltown. His career record is 33-21 so he's still in the plus there, but his last two outings have found him getting tagged with losses in each game. At this point in time he is projected to end the season at 12-11 according to ESPN.com which has the projected stats to the end of the season. He has been called 'struggling starter' in the previews of tonights game. If Hamels wins tonight, he stays above water, if he gets pounded, look for more foreboding articles to appear about Cole - so I hope he wins tonight! Keep in mind that the Cleveland Indians are terrible this season! The Phillies added Scott Eyre who is dubious at best when it comes to his health, although he did look ok in a couple pitches on Sunday afternoon for his first appearance in a Phils uniform. Is that the caliber of pitcher that the Phillies needed? No, not in any way. He is a relief pitcher, the Phillies needed a good lefty reliever and Eyre are out there and fit the bill. He'll come into the game at certain points and try to match lefties up to bat and put a fire out or two. He'll be tested, that is for sure. The more he is called on, the better we'll be able to see if he is healthy. Are the Phillies done yet adding anyone? There was talk of Manny, but thank goodness we didn't get him, he is all for himself and a real weird character, Philly fans would have him in tears for sure. Too often this year, Charlie Manuel has let play go on and not made any moves that a decent manager makes. Case in point, he doesn't respect a good hitter on any team. He pitches to everyone, lock stock and barrel. Most of the time these good hitters take full advantage of this most of the time. Don't let a good hitter hurt you, Charlie's done this with the Mets, Marlins, basically every team the Phils have faced this year. Start walking these good hitters and let the field play for the double play. The Phillies are out west in Dodgerland after a tremendous win on Sunday in a game that felt like it took forever to play with the 1:47 rain delay right from the scheduled start time of 1:35pm yesterday. The team needed Chase Utley to snap out of his hitting funk, he sort of did with the homerun that sealed the Phillies victory but I hope that's the start of Utley getting hot again. He seemed to have a lot on his mind as he came up to bat yesterday at Citizens Bank Park. Meanwhile, the Mets and the Marlins get a double dose of losing today and it puts a little distance between the first place Phillies if the Phillies can come up with a couple wins in LA, namely winning tonight the first game on Monday August 11. Is the Phillies still a powerhouse playoff team, I am not that convinced that they are. They have been winning but not in a convincing fashion. They have sputtered terribly offensively lately and have sputtered a number of times this year for unknown reasons. It just seems that they are not all that happy as a team out there sometimes. The 1993 team had fun along the way, this team seems uptight about something, there are some really long faces out there perhaps the team should start watching the Phanatic and just relax a little and have some fun. The Dodgers are now home for a 10 game homestand with the Phils coming in for the first three of them. Brett Myers pitched like a man on a mission on Saturday night Aug 9th. He looked like the Myers of old, fiery and focused. That's what the Phillies hoped for Myers who looks like he's got his swagger back. Myers over the past two years has been moved everywhere but into a Phillies luxury suite for the team. He went out to the bullpen when the Phillies needed that most with the shakiness of Tom Gordon last year, even though Myers is a National League starter and lead the season off as the Phillies opening day pitcher. He's done more than he could have been expected to and still even though he struggled a bit this year, maintained his composure even going down to the minors to get his stuff back. All his composure went out the window last night as Myers erupted like a volcano when Manuel made his way to the mound to take Brett out of the game. Myers looked like he was going to explode, he paced around the mound and cursed as Manuel extended his hand to get the ball from Myers. After he left the mound Myers responded with a cap tip to the fans who gave him a standing ovation, he would have got the ovation if he didn't go through all of his antics with Manuel anyway. The battle now continued when Manuel entered the dugout, he yelled out for Myers and the two began a jaw to jaw screaming match right in the dugout ending with Myers exiting the dugout and going back into the clubhouse. Myers didn't obviously benefit from any anger management classes he may have had to attend with the assault a couple years ago on his wife on my birthday no less!, this was a classic no-no in baseball. You don't insult the manager by throwing a tantrum about one of his moves. More so, you don't get in your own managers face and scream at him, but all this frustration on Myers probably has been building for some time. Myers is doing much better on the mound, and I think he's going to be ok for the rest of the season. After the season though, I think he gets traded to another team and that may be good for him. When Sam Carchidi, a reporter for the Philadelphia Inquirer axed Brett if he honestly thought those two balls were pop ups, things got interesting. Myers is not one to back down when he's lost his temper, he still needs those anger management classes, but he gets the win in South Philly, the fans like a win and they like Brett Myers. Through all of the 8 years that Myers has been on the team there has been some great times and some not so great times, this was one of those 'not so great' times for him. The question begs though, "Can anyone pitch a complete game with Manuel as the manager?" Phillies moves starting to irritate - What's 'Happ'ening? JA Happ looked really good in the few times we've seen him in a Phillies pitching role this season. The trade deadline comes and goes.... They bring Happ back up to the bigs which is a good move, then they acquire Scott Eyre and ship Happ back down? These types of moves are starting to pile up on the Phillies this season. Bad moves, that is. What do you have to do to stay on the Phillies as a minor leaguer? Even Ryan Howard and Chase Utley were kept in their minors spots for a long time before the Phillies brought them up and gave them the chance to play a couple years ago. You bring in Eyre who has been terrible for the Cubs, "flat out terrible" and you move an upcoming ballplayer like Happ around like a yo-yo to accommodate the pickup of Eyre. Eyre has been out all season after experiencing elbow soreness during spring training. His only value will be in leagues that value holds. Scott Eyre (elbow) is expected to come off the disabled list on Saturday. Eyre is currently sporting a 6.75 ERA in 6 2/3 innings in the minors, but three of his last four innings have been scoreless. The Cubs will send down a pitcher to make room for him. Scott Eyre (elbow) is expected to return from the disabled list on Friday, although it could happen as soon as Wednesday. Eyre's last three innings in Double-A have been scoreless. Sean Marshall could stick in the bullpen once Eyre comes back, leaving the Cubs with thirteen pitchers. Scott Eyre (elbow) threw a scoreless inning Wednesday in his first appearance for Double-A Tennessee. Eyre gave up four runs in 2 2/3 innings for Single-A Daytona. He should rejoin the Cubs' pen next week. Scott Eyre (elbow) threw a scoreless innings Wednesday in his first appearance for Single-A Daytona. Eyre could rejoin the Cubs next week, but with Sean Marshall performing well in relief, there won't be any need to rush the veteran. Scott Eyre is scheduled to throw a simulated game on Wednesday. If that goes well, he could be assigned to start a minor league rehab assignment by the end of the week. Scott Eyre (elbow) threw a side session on Saturday in Arizona, and is expected to throw another today. Eyre has been sidelined for just over three weeks with a bone spur in his throwing elbow. There's still not a timetable for his return. Scott Eyre will resume playing catch today after being shut down for a week due to discomfort in his elbow. Eyre underwent an MRI last week to confirm that there wasn't a stress fracture in the elbow, and the original diagnosis of a bone spur was confirmed. He's unlikely to be back until early May, and with Carmen Pignatiello struggling in his place, the Cubs could once again look to Sean Marshall. The Arlington Daily Herald reports that Scott Eyre (bone spur) will be out for at least two-to-three more weeks. Eyre hasn't started throwing off a mound since feeling pain in his elbow almost two weeks ago. Cubs placed LHP Scott Eyre on the 15-day disabled list, retroactive to March 23, with a sore left elbow. Either Sean Marshall or Carmen Pignatiello will claim the bullpen spot vacated by Eyre. You can't get more injured than Eyre has been in the beginning of the year and lasting right up through May, is this guy still able to pitch? It's looking like Gillick likes anyone who is about to fall apart, like Freddie Garcia, and Adam Eaton. I don't like these kinds of moves! Phillies in Saint Louis, they regain first place! 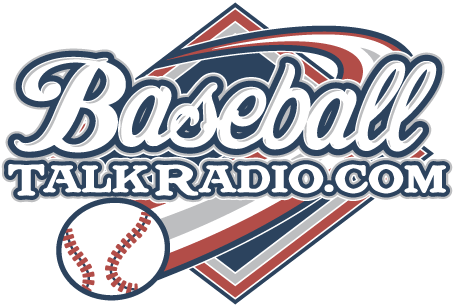 Go Phils, here's my podcast for August 2nd 2008. If the Phillies somehow traded anyone for Manny Ramirez, I would have seriously considered not going to another Phillies game this year and even more about being a fan of the team. Manny is not funny anymore, he's pathetic. Such a whiny player who isn't concerned about 'team' play, he is only concerned about himself. He may be a future Hall of Famer, I don't know, but his antics are way too much for any normal team to deal with. In a way, LA is a perfect place for him. There are plenty of bad actors in LA, and he's now one of them. His style and caliber is something the Phillies and the fans didn't need. Pat, you said where would we put him, if the Phillies signed him? How about a dunk tank out on Ashburn Alley and have the kids try to sink this clown! Game two with the Cards tonight, Phillies look to even up with them, Go Joe Blanton!